A man was sitting in bar, watching Monday Night Football, when he was toppled by a fellow patron who dove for a souvenir tossed by an actress into the crowd. The man suffered a severe knee injury, which required expensive medical treatments. 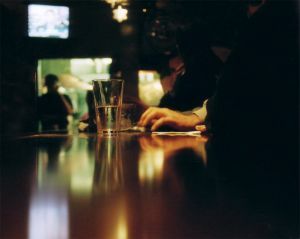 When he sued the owner of the sports bar, he was awarded $6 million at a bench trial in Nevada. However, a review of FCH1, LLC v. Rodriguez by the Nevada Supreme Court resulted in a reversal and remand of the case. Boston personal injury lawyers find this case especially relevant at this time, when radio stations, bars, sports franchises and others host summer concert series and other events where there are large, tightly-packed crowds. Management of these crowds through ample security and other strategic measures is one way in which these entities can keep their patrons safe – and avoid personal injury litigation. In the FCH1 case, the state supreme court reviewing the matter noted the somewhat unusual application of the premises liability doctrine used in this case, given that the injury was caused by the fact that the company had failed to stop the souvenir-tossing, despite the danger, rather than some condition of the property. Still, the court noted premises liability cases aren’t always limited to conditions of the land, and so thus reviewed the case as one of premises liability. This requires the owner to exercise a reasonable degree of care. Differing degrees of care are assigned based on the type of facility and the status of the injured (trespasser, invitee, etc.). In sports settings, the court noted, there has been a great deal of case law dealing with the kinds of duties owed by owners and managers of sports settings (including Turner: Pira v. Sterling Inc. in New York, Harting v. Dayton Dragons Prof’l Baseball Club in Ohio and Loughran v. The Phillies in Pennsylvania). In those cases, relied upon by the owner of the bar, the defendants were not deemed liable for injuries after players tossed souvenir’s to fans (i.e., baseballs) or when fans were struck by errant balls because there is a “reasonable assumption of risk” that a baseball fan assumes when attending a game. The defendant claimed this inherent assumption of risk was applicable to those in sports bars as well, where the tossing of souvenirs at entertainment venues is widely accepted. Here in Massachusetts, we have done away with the “reasonable assumption of risk” doctrine with the passage of Statute, M. G. L. c. 231, s. 85, which introduces the concept of contributory negligence. This takes away the “assumption of risk,” but allows that the overall compensation amount can be reduced by something proportional to the plaintiff’s own negligence. Upon appeal, however, the state high court ruled this finding erroneous. Because the court found the error wasn’t harmless, a new trial was ordered.